Easy Canvas Prints parent company, BuildASign.Com, specializes in Banners and Signs. If you need any kind of banner or sign this is the place to go! The prices are very reasonable! I was originally going to get one of their magnetic bumper stickers for my car to advertise one of the companies I sell—but then I was offered one of my photos on canvas—I jumped on it!! I am not really all that tech savvy but the order process was easy even for me!! With just a couple of clicking “Next Step” I was able to download the pic, choose the size, color of the wood for the frame, itself and order my photo on canvas. There were many other options I could have choosen as well. And each option you choose you can tell right away how it is going to look because they show you! I still am amazed at how all this stuff works! 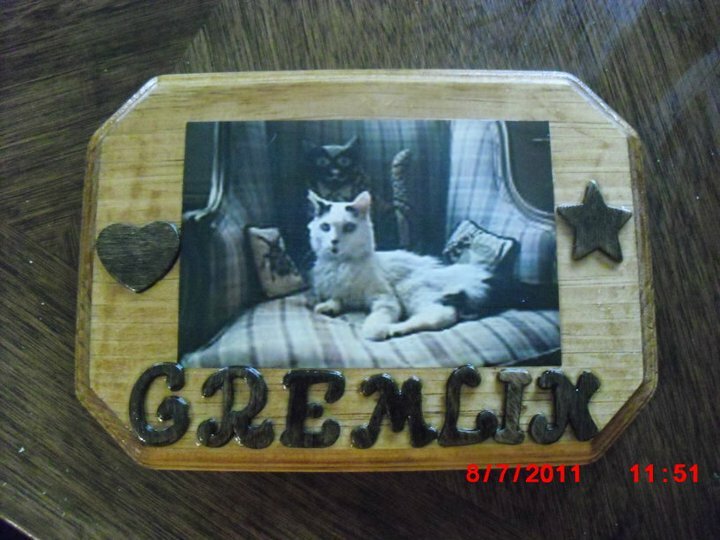 When I received the photo on canvas of Gremlin (my cat who is now over the rainbow) Easy Canvas Prints created for me from a photo I had of him I was frankly astonished at the quality and how easy it was to use this site! I know all of you have seen the pic I used. Now try to imagine this mounted on a sturdy frame—I can finally put it up on my wall (the plaque itself was too heavy to hang). It looks EXACTLY the same!!!! I am so totally impressed with the finished product from Easy Canvas Prints that I am seriously thinking of having Baby’s pic done up on canvas as well!! And I will definitely be going back to BuildASign.com to get one of the car magnets. I received product for this review—but the opinions are totally mine!